Nathan is a doctoral student in the Department of Theatre. Nathan has a BA in Theatre and a BA in Philosophy from Northwest Missouri State University and an MA in Religious Studies from the University of Kansas. 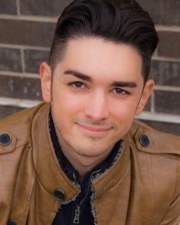 Nathan currently works in Kansas City as an instructor at Park University and is also on his sixth season as Stage Supervisor with the Kansas City Repertory Theatre Copaken Stage. Nathan’s research interests include ritual performance, performance and the body, and Greek tragedy. When Nathan is not studying and working in theatre, he can be seen writing, performing, and traveling with his band Attic Light.